A relationship with a client that is a true partnership is crucial. I treat the business of my clients as if it’s my own. Therefore, having a thorough understanding of the client and how various tactics might apply to their unique situation is important for me to feel confident I can help them. If I don’t feel they are likely to obtain the results they are expecting given their situation and/or resources, I’ll gladly point them in a different direction or to self-help information that may be useful to get started. Therefore, I actually decline far more engagements than I accept. 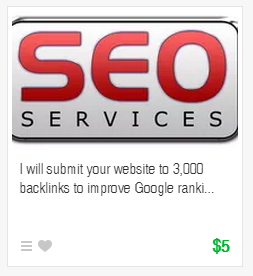 Yes, someone will sell you 3000 links for $5! First, it’s important to understand that anyone can quote a cost for performing a certain set of tasks. For example, someone might claim they will generate 100 backlinks for X dollars, or they will post 5 times a day on your social media account for Y dollars. However, this type of “comparison shopping” ignores the more important fundamental question – how will this tactic help achieve your business goals? Furthermore, does the candidate have an understanding of your business and share your vision? What are the key drivers of your performance metrics? 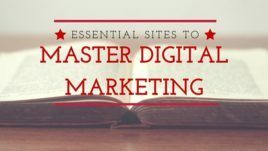 What is the best and most strategic way to selectively use the various online marketing tactics, making the most of your limited resources, to help drive those metrics? I’d certainly rather get 3 strong backlinks that raise your domain authority than 100 spammy backlinks that could potentially lead to penalties. I’d rather make sure I understand how to engage the target audience on social media and what resources it takes to get actual visibility than spend time and money making 5 posts a day that no one engages with or even sees. I want to make sure a prospect has an appreciation for this approach to a marketing strategy. If I am getting asked questions early on in the conversation that imply I’m a commodity, such as how many meta titles will you write in X hours or how many newsletters will you send per month for Y dollars, I know I need to help educate the client on taking a strategic approach to holistic marketing and quality over quantity. A marketing strategy is obviously a hugely important component in the success of your business. High-level strategic input driven by experience and expertise, like any senior level executive, is valuable and warrants an investment in quality. Developing a mutual trust and partnership is the key to a successful engagement. While every client and business is different, I’ve identified characteristics that are likely to lead to a successful collaboration. If the client feels like they know exactly what to do and simply needs someone to perform a task for them, there are relatively inexpensive assistants that can follow these instructions and it makes sense to use them. If a client cares about putting themselves in the best possible position to achieve their business goals using their available resources and needs strategic expertise for defining how to do that, then it makes sense to continue our conversation. Here are some questions I ask a prospective client to understand their current situation and expectations. Only then can we start to have a meaningful discussion about priorities, tactics and budget that are specific to their business. I want to know how long your business has been around; what your current revenue, traffic, and conversion rates looks like; how established your and your company are in your industry; who are your competitors; what differentiates your company. You should understand your position in the market and what makes your company special – I rely on that to help craft your messaging and build your brand. Your current key metrics provide a sense of how much momentum already exists that we can build on versus how much we have to build from scratch to start generating ROI. What marketing have you done in the past? What’s worked? What hasn’t? If you’ve tried certain tactics before, I want to know all about the results. If they performed poorly, can we identify why? Are they a lost cause, or were they simply not executed as well as they could have been? If the tactic performed well or at least gave an indication that there was potential, that certainly gives us ideas of what we can build on to have a more immediate impact. In any case, it’s important to have access to that baseline of data so that we can start to gain insight into new opportunities and have something to measure performance against. I don’t begin an engagement when I sense there are unrealistic expectations from the start, because it’s not fair to anyone and ultimately ends up in frustration on both sides. Building a brand and meaningful, predictable revenue online is not easy, cheap, or fast. There are no guarantees. If you think you’re going to build the next Toms within a few months simply because you have some nice looking shoes or clothing styles and a charitable element, you need to reset expectations or risk jeopardizing whatever time and money you invest. Or even addressing a single metric goal such as doubling organic traffic can take significant time and effort. How aggressive you can be is a function of many factors including the defining characteristics of your actual product or service, budget, and resources, so everything has to be in line. Which leads me to a final question. What resources do you have (financial and staffing)? Some clients simply need perspective, direction and oversight. They can use their in-house team to execute the tactics. Others don’t have an in-house team of specialists and want someone to act as their marketing department both strategically and tactically so they can focus on what they do best – running the business. It’s important to understand that time is money. For example, if a component of our strategy calls for content and you simply need direction on topics and format, but have someone in-house to produce it, that’s great and saves time. Whereas if you need someone managing the content production and distribution from start to finish and running analysis, that obviously results in higher costs. As I mentioned earlier, the answers to these questions help dictate tactics, priorities and budget. Ideally, everything should be working together cohesively to amplify the overall impact. 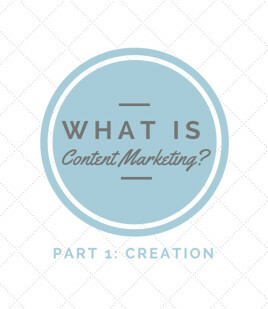 Your content strategy for SEO helps feed your emails and social posts. Your PPC helps distribute your content and/or drive leads that you capture for your email list. However, your unique situation will influence the approach. Need to build traffic and revenue quickly? Pay per click may have to be prioritized over SEO to generate immediate traffic. However, if your conversion rate is poor, there’s no point investing in any of these areas until we know we have a site that actually converts that traffic you get! So while there are still some fundamental elements that have to be in place, a variety of approaches can be applicable to suit your specific business needs, goals, and budget, provided the expectations are adjusted accordingly. Additionally, an effective, holistic marketing strategy is always evolving; adjusting tactical priorities/execution based on the data and results that are being accumulated allows for continuous optimization towards achieving your business goals. With that being said, below a certain threshold of investment, it’s unlikely you’re going to get any meaningful results unless you’re prepared to invest the time yourself in developing and executing the strategy rather than relying on paid consultants and specialists. I’ve found that a good strategist or tactical specialist almost always achieves more in a shorter amount of time, but there is still a minimum amount of time required to make an impact. I caution prospects, whether they use me or anyone else, that simply going with a cheap option is highly unlikely to provide the results they are looking for and instead will end up costing them in wasted time and money with nothing to show for it. If you’re looking to build and execute a marketing strategy and haven’t given these questions some serious consideration, I urge you do so and reflect on the commitment that is required to be successful. If the agency or service provider you’re considering isn’t asking these types of probing questions, it’s likely that they are simply looking to execute tasks that you assign them and will require a lot of micro-management on your part. It also shows a lack of appreciation for your business goals and a lack of understanding of your business. On the other hand, developing a great partnership with someone committed to your vision and acting as an extension of your company can really take your business to the next level. Plus, you get to stay focused on the parts of the business that you are best at and enjoy the most! What has your experience been in hiring consultants or agencies to assist with your online efforts? Tell me in the comments below! Want to start a discussion about how you can better achieve your online goals? Contact me and I’ll be glad to chat.